Japan’s Coast Guard has its hands full: Latest reports indicate up to 11 Chinese maritime surveillance ships have entered the Senkakus/Diaoyus’ Continguous Zone while a pair of fishermen swam ashore one of the islands before departing. In addition to the anti-Japanese protests and violence which has flared throughout China this weekend, Chinese state media has indicated the possibility of further reaction to the nationalization of the Senkakus/Diaoyus to come later this week. Chinese state radio said Monday that “1,000” fishing vessels are headed to the waters near the islands, as a fishing ban comes to an end. 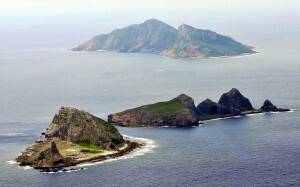 Of note, the report quoted a Chinese source who said the vessels’ activities would be monitored by a “marine observation satellite.” It is unclear whether this is an attempt to say the six vessels still believed in the vicinity of the islands will attempt to avoid a confrontation with the Japanese Coast Guard on station, or whether it just indicates China will be watching the situation very closely. Meanwhile, Hong Kong reports that the ship Kai Fung 2, which earlier helped keep the islands in the spotlight, will attempt a return voyage this week as well. In the past week, while American attention has largely been diverted, China appears to have taken a number of steps to change the reality of the situation in the Senkakus/Diaoyus (hereafter referred to as Senkakus for brevity’s sake) in a coordinated diplomatic, media, legal, and physical push. With the maelstrom of news emanating from the Muslim world, U.S. media coverage of other, possibly more consequential events inevitably slackened. Fortunately our international and domestic partners have carried the ball a bit with regards to the disputed islands claimed by Japan, China, and Taiwan. While we noted the reports on Tuesday of two Chinese ships – the Hai Jian 46 and Hai Jian 49 – dispatched to and arriving outside the islands’ Territorial Waters (TW), the number that arrived eventually totaled six, twice as many ever previously sent by China at one time. A good account of the stand-off, on pause for now, can be found at The Asahi Shimbun. Although the Chinese vessels have all left the islands’ TW, they remain in the direct vicinity. The Senkakus are the same five islands, under administrative control of Japan (and populated only by goats), at the center of Japanese Coast Guard clashes with Chinese fishermen and most recently protestors from all claimants. The Atlantic Council of Canada has a good article on the history of the conflict, but the immediate cause of the Chinese flotilla was the purchase of three of the islands by Japan’s national government (another was already government-owned, and the last owned by another private owner). The decision to go forward with the purchase was forced by Tokyo’s nationalist metropolitan government, which also attempted to buy the islands but would have furthered their use as a provocative cause célèbre – whereas the central government has mostly sought to play down tensions between the two economic partners. However, with the lead-time given by advance warnings of the sale date on Sept. 11th, China had time to prepare a coordinated response. As our counterparts @Galrahn and @cdrsalamander noted, this response not only involved the vessels themselves (which, significantly or not are from State Oceanic Administration while previous vessels were from the Ministry of Agriculture) but also articles backing the move ready to run in China’s state media. Further, these actions appear timed to coincide with the PRC’s announcement of baselines demarcating their claims and the start of weather forecasts for the area. Although unprecedented for this particular conflict, China appears to be following a course it charted earlier this summer in the South China Sea, where it has so far successfully established a new reality on the ground with the Philippines-claimed and previously administered Scarborough/Pantang Shoal. The Philippines Coast Guard pulled back its vessels on June 16th due to bad weather and has yet to return, effectively ceding control to the Chinese civilian maritime agencies, who have maintained a presence in the area and attempted to physically impede any non-Chinese vessels. Back in the East China Sea, as the Christian Science Monitor noted, China likely had to take some action to appease nationalist sentiment at home in reaction to Japan’s moves. But the paper also said that the movement of the vessels back out of the islands’ TW can be taken as a sign of China’s unwillingness to take things too far. Here’s hoping they’re right – and that fears of further turmoil before the country’s leadership transition will serve as a break. But with precedence already established in the South China Sea, and the vessels still loitering in the area, many signs point to the potential for future confrontation – and it may begin as early as next week. 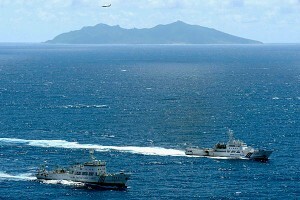 On Friday Xinhua said the vessels will start “patrol and law enforcement around the Diaoyu Islands” while the catalyst for conflict could begin Sunday, when China’s self-imposed three-and-a-half-month fishing ban in waters near the Senkakus ends (although a typhoon to the east of the islands may further complicate the situation (h/t Galrahn)). A Bureau of Fisheries official stated: “A large number of fishing boats will leave their ports…We will resolutely protect China’s sovereignty and the safety of fishers and step up controls in marine areas that include the Diaoyu Islands.” Adding to the fun, Taiwan has also sent two Coast Guard vessels to protect any of its own fishermen brave enough to wade into the waters. From the perspective of the U.S., hoping to de-escalate any conflict between two of its most important trading partners and avoid being dragged in to an armed conflict, it’s clear we need better mechanisms with the PRC in case of emergency. 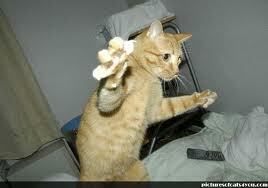 The threat of MEOW (mutual economic obliteration worldwide) is not enough. It’s vital to separate the sides in the early stages to prevent a confrontation going past a point of no return – so we need to know who to call, and that they’ll have actual authority to call vessels back. That is of course easier said than done with a country whose future president can drop of the face of the Earth for over a week at a time. What the U.S. can work on, however, is building “habits of trust and cooperation,” through increasing partnership opportunities with China – a topic I will return to shortly. If the long-term solution has to be through international diplomacy, China, by demarcating its claims to the specific rocks and islands around the Senkakus – a step experts have called the Chinese to take in the South China Sea – might this week actually have made progress of a sort. But next week might not be as useful. LT Scott Cheney-Peters is a surface warfare officer in the U.S. Navy Reserve and the former editor of Surface Warfare magazine. He is the founding director of the Center for International Maritime Security and holds a master’s degree in National Security and Strategic Studies from the U.S. Naval War College. The opinions and views expressed in this post are his alone and are presented in his personal capacity. They do not necessarily represent the views of U.S. Department of Defense or the U.S. Navy. The activists, crew, and media are all in custody, as Japan prepares to deport them. 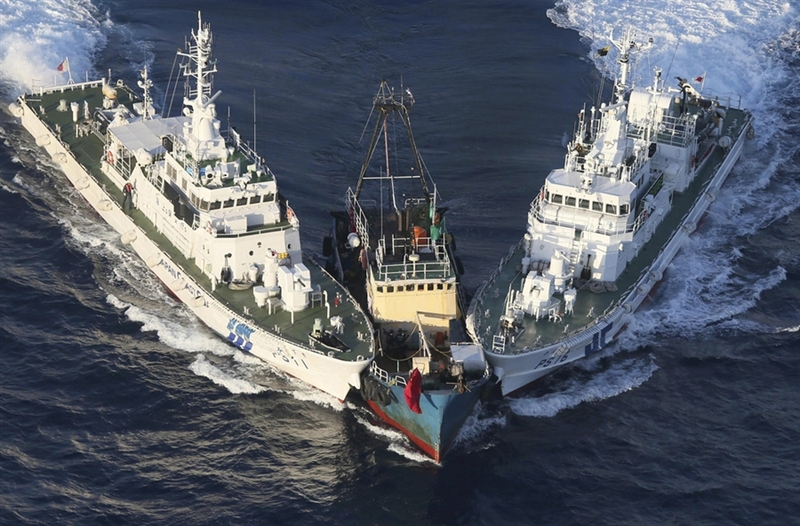 This action forestalls the sort of diplomatic crossfire the central government faced from nationalists at home and the Chinese government when it briefly held for trial a Chinese fisherman who rammed a coast guard vessel in 2010, before letting him go. Meanwhile, we have some great photos from the incident. Activists on the Kai Fung have reportedly landed on the Diaoyus/Senkakus after their vessel was rammed (likely forcibly bumped) by Japanese Coast Guard ships trying to deter the crew from reaching their destination. Most of the crew is in Japanese custody. Fourteen brave souls set sail for what they hoped would be a voyage of protest championed by their nations. Up to now they have been beset by dwindling food supplies, government obstruction, and a threatening tropical storm. In the process, the journey of the Kai Fung No. 2 has provided fresh insight into the process of managing the at-sea skirmishes that blow over into diplomatic confrontations. The Hong Kong activists’ vessel had a bad start, as much of their food rations fell overboard amid the rough seas. Organizers said they hoped to restock Kai Fung No 2, with 14 people on board, in Taiwan. These plans were dashed as Taiwan’s Coast Guard Administration denied them entry, ostensibly for lack of a permit. In a session of that nation’s National Security Council later that day, the country’s officials decided to allow the vessel entry on humanitarian grounds due to the shrinking supplies and the approach of Tropical Storm Kai Tak. Kai Fung is now expected to call at the northern Taiwanese port of Keelung. Whether the Kai Fung actually makes it to its original destination, the episode shows that China and Taiwan will go to great lengths to control the timing and nature of their confrontations. Both nations have been far from shy in advancing their claims on disputed maritime territories (China sent patrol vessels to the islands in July), but they typically like to deal with other nations in a more controlled manner, through fishing fleets or state vessels, to best calculate the diplomatic impact and repercussions. Admittedly many of the confrontations in the South China Sea can be chalked up to the PRC’s various regional and state agencies vying for influence and favor. But when an at-sea flare-up doesn’t stand to directly bring favor to any state official the central regime can pull back on the reigns with the cooperation of the various arms of government. 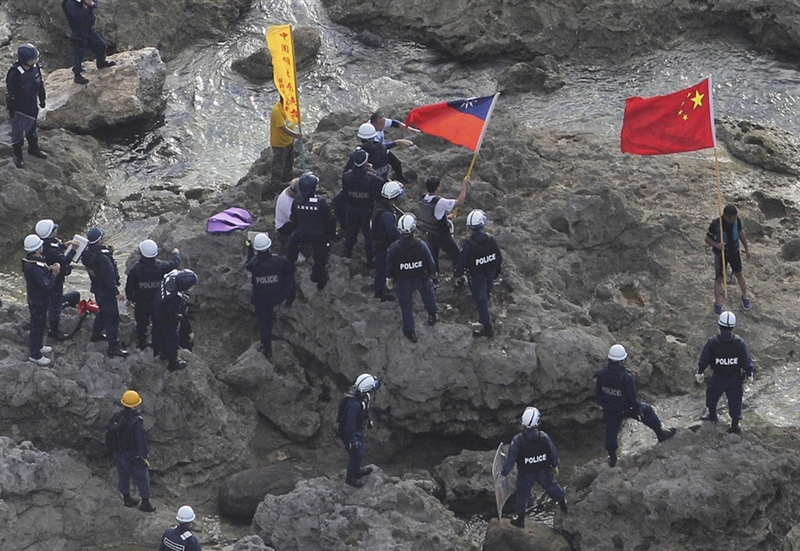 Chinese activists aren’t the only one to test the Japanese government’s ability to keep a lid on confrontation – nationalist lawmakers from Japan may be planning to make a trip to the islands later this month. In some ways overshadowed by events elsewhere in its maritime claims, China added fuel the regional fire that has characterized its relations with neighbouring states for the last several decades on July 10th. This time it did so by launching a naval exercise in the waters near the Zhoushan islands in the East China Sea. The maneuver comes as the Chinese Communist Party (CCP) placed a ban on shipping and fishing vessels entering the designated exercise area. The CCP have chosen a heated time to send the Chinese People’s Liberation Army and Navy to practice its ability to operate in contested waters. But the timing of this maneuver was far from fortuitous. The disputed islands are not the only quarrel in which China finds itself. 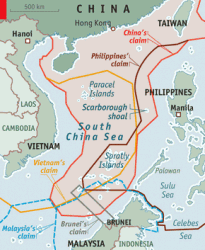 The Asian superpower is currently locked in a wrangle with Vietnam and the Philippines over the Scarborough Shoal in the South China Sea. Sovereignty claims to the islands are touchy since the islands are believed to provide rich fishing grounds and potentially huge oil and gas reserves. The situation has escalated since the beginning of April when Chinese civilian vessels found themselves in a standoff with the Philippines Coast Guard. Chinese embassy spokesman Zhang Hua stated, “The Chinese side has been urging the Philippine side to take measures to de-escalate the situation.” In response Philippine President Benigno Aquino ordered the withdrawal of its government vessels in “hope[s] this action will help ease the tension.” China, however, has yet to do the same as it still has seven maritime vessels encircling the Shoal and has rejected attempts to resolve the tiff through the employment of the International Tribunal for the Law of the Sea, as recommended by officials of Vietnam and the Philippines. China is well versed in threatening navigational freedom in territorial waters, making countries such as Malaysia, Singapore, and Indonesia weary, since China appears to have set its sights on the Malacca Strait. The Strait is one of the most critical maritime choke points as over 1,000 ships a day pass through its channels that link the Pacific to the Indian Ocean. At the 10th Shangri-La Dialogue in Singapore, China’s Minister of Defence Liang Guanglie called for China to take a more active role over the management of the Strait of Malacca. For China, which relies on nearly 80 percent of its crude oil imports from the Middle East and Africa, security of the passage is crucial and military involvement offers the opportunity to mitigate terrorist and insurgency risks in the lanes. To many Asian states, Canada represents an affluent and pluralistic country ripe with opportunity. Its diplomatic engagement in the region has predominately played a supportive and capacity-building role in maritime security initiatives. 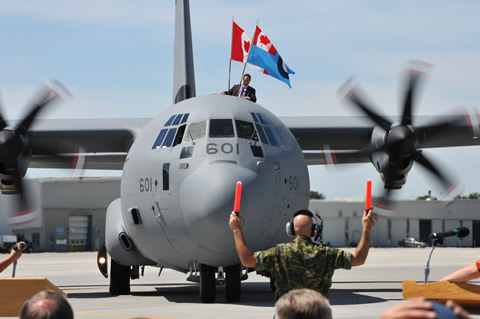 Canada has sought to expand its role in the area militarily and economically, and has done so most recently with Canadian Defence Minister Peter MacKay’s trip to Singapore. MacKay spent the weekend in talks with Asian defence ministers regarding the enlargement of a Canadian presence and toured potential sites for a ‘hub’ for Canadian military operations. 1,400 Canadian sailors, soldiers, and air force personnel will also be taking part in the biannual ‘Rim of the Pacific’ military exercises held from June 29 to August 3. This involvement represents an important opportunity for Canada to demonstrate its commitment to the region, but even still, there needs to be a more concrete diplomatic engagement to secure relations. With announcements like U.S. Defence Secretary Leon Panetta’s latest statement that 60 percent of the U.S. Navy fleet will be stationed in the Pacific by 2020, Canada must to buff up its presences before it loses out. The disputes over the South China Sea, the Scarborough Shoal and the potential strain over the Malacca Strait, opens the door for Canada’s involvement. James Manicom of The Globe and Mailargues that Canada can use its status as an impartial dialogue partner to engage in regional track-two diplomacy. If Canada hopes to expand its economic relations in the region, such engagement outlined by Manicom is necessary. Canada currently stands as the ASEAN’s ninth largest investor and 13th largest trading partner, totaling over $1.6 and $9.8 billion, respectively. The Harper government needs to ditch the reluctance that has defined Canada-Asia relations and push for a peaceful resolution of the current disputes with China. Doing so would allow Canada to gain credibility in the region and supplement U.S.-Japanese-Philippine calls for stability. Further, as China continues its somewhat predacious behavior towards its neighbours, Canada can reassert itself as an agent of peace and diplomacy in the region. Joelle Westlund is an Asia-Pacific Policy Analyst at The Atlantic Council of Canada. She is currently working towards a Master’s Degree in Political Science at the University of Toronto. Joelle holds a Bachelor’s Degree in International Relations from the University of Toronto and has studied at Masaryk University in the Czech Republic as well as the Hebrew University in Jerusalem. Any views or opinions expressed in this article are solely those of the authors and the news agencies and do not necessarily represent those of the Atlantic Council of Canada. This article is published for information purposes only. 1. Post-ASEAN fall-out: After ASEAN failed last week to release a joint communiqué for the first time in 45 years, Cambodia is looking to some in the region like a Chinese proxy playing the role of spoiler. Indonesia managed to salvage a version of the “code of conduct” for the South China Sea, a 6-point declaration to essentially work peacefully to implement existing maritime law and guidelines and avoid military confrontations: making progress by reaffirming the status quo. 2. Beijing announces troop build-up in Paracels: On Monday, China said it would send troops to guard its newly incorporated city of Sansha. The most likely location is the largest island, Woody Island/Yongxing. Fun fact – according to Chinese reports the city, home to 1,000 across various islands, already has a karaoke parlor up and running. Preparations for hosting the troops may take longer – the announcement and move is more symbolic than practical at this time. 3. 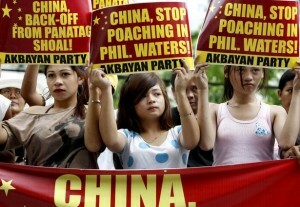 The Philippines and Vietnam Protest China’s moves: Manila summoned the Chinese ambassador to complain about the new garrison, while President Benigno Aquino took to the airwaves and decried Chinese provocations in an address to the nation. Meanwhile, Hanoi filed an official diplomatic complaint about the build-up in the Paracels, which it too claims. Both the Philippines and Vietnam however reiterated their desire for a diplomatic solution and stated they would not seek military confrontation. 4. The International Crisis Group releases report on the SCS: Said the report: “The failure to reduce the risks of conflict, combined with the internal economic and political factors that are pushing claimants toward more assertive behaviour, shows that trends in the South China Sea are moving in the wrong direction.” Interestingly, the report also believes the Philippines made the wrong move in the recent Scarborough Shoal stand-off with China by sending in a naval vessel, thereby giving the Chinese an excuse to escalate, to play up nationalism to their domestic audience. 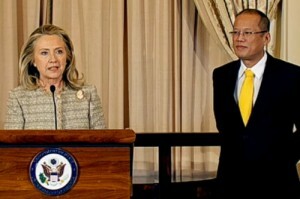 The report also states the U.S. might not be obligated to assist the Philippines in the event of an attack in the South China Sea under the terms of the 1951 Mutual Defense Treaty, as the U.S. has yet to make a formal statement whether the Spratleys and other disputed maritime areas are covered under the treaty’s terms. 5. Taiwan to ship armament to the Spratleys: Taiwan has confirmed it will send a mix of mortars and artillery to Taiping, the largest of islands and host to a 130-strong Taiwanese force, in August. Fun fact – the total land mass of the 100 Spratley “islands” is less than 2 square miles. 6. The Philippines ratifies a long-languishing Status of Forces Agreement (SOFA) with Australia. “Although the agreement is not a defense pact, its symbolism cannot be lost on China,” President Benigno Arroyo said after the vote. The pact, however, has more to do with pursuing terrorists in the country’s muslim South – primarily the island of Mindanao. No one of these stories points to a looming conflict, but taken together they provide context for what has been the increasing trend of looking towards military power for lack of a diplomatic progress.